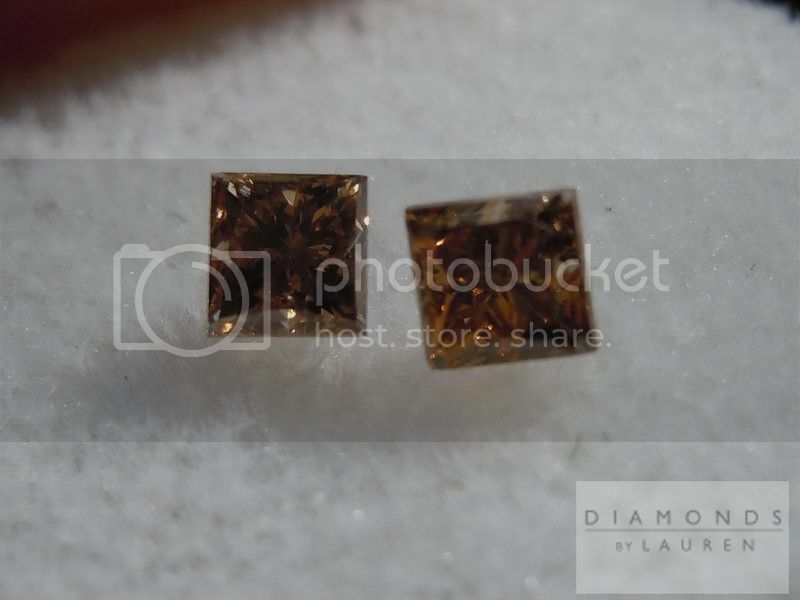 This is a pair of beautiful princess cut diamonds. 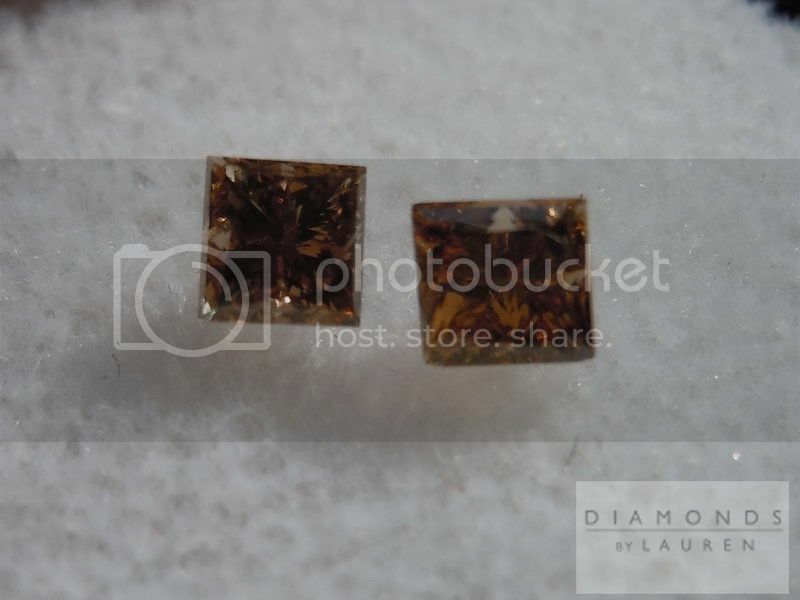 These diamonds are Fancy Brown in color. 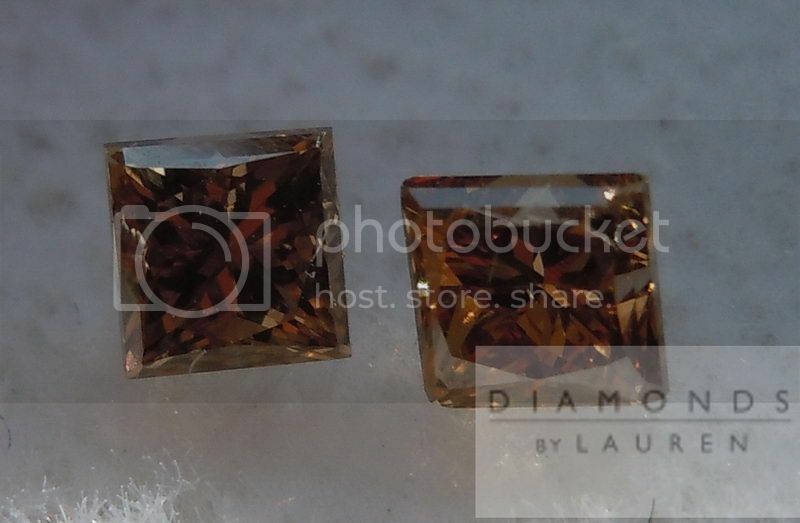 They are a nice rich color that will look fantastic next to diamonds of many colors. The stones have great sparkle to them. If you are interested in these stones, give us a call. You will be purchasing with a money back guarantee, so you are sure to end up satisfied!